Wealthy investment banker Reginald Greer has been found dead at his home on the eve of his annual murder mystery party. 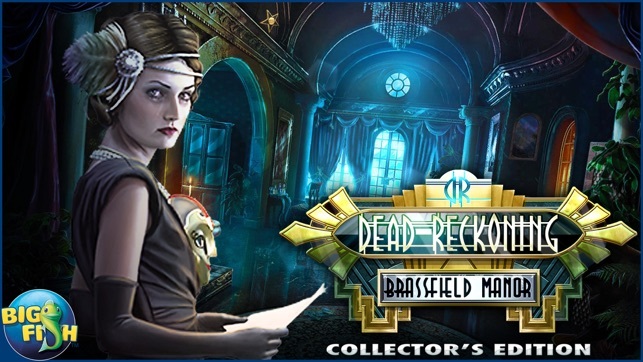 Brassfield Manor is brimming with party guests, family, and staff, and any one of them may be the culprit! • CAN YOU WADE THROUGH THE LIST OF PRIME SUSPECTS? Was it the shady business partner, or a jealous family member? Who benefited most by seeing Reginald Greer dead? 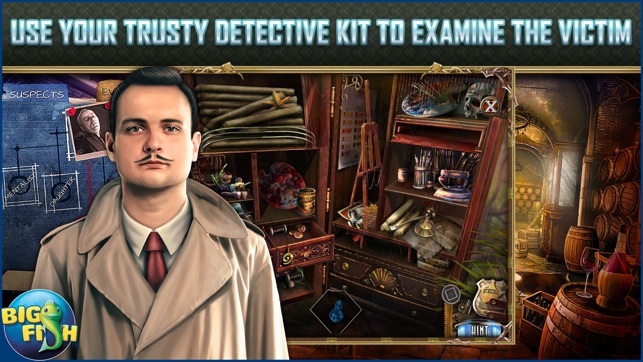 It’s up to you to crack the case and bring the killer to justice! 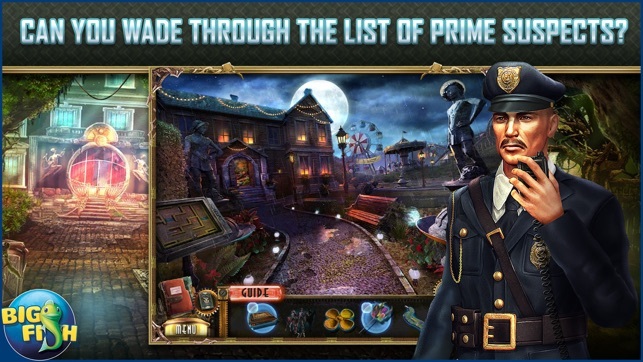 Gather clues from the hidden object games and piece them together to solve the case. 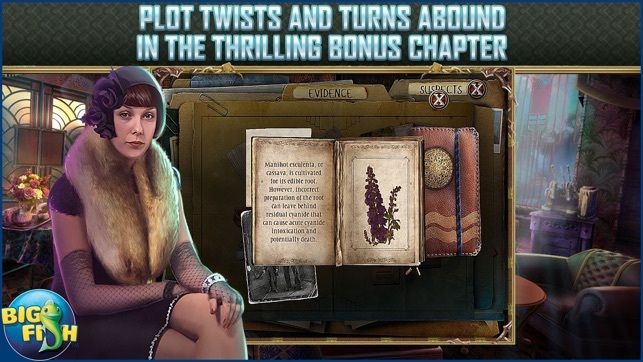 Play a range of dazzling interactive puzzles to eliminate suspects and discover the true motive. Is this case really closed? Find out in the bonus game and enjoy additional Collector’s Edition exclusives including souvenirs, morphing items, and bonus puzzles. Now you all know how highly I rate EIPIX as a rule, but for some reason I was bored by this game! Not that it didn't have it's merits! The graphics were beautiful, as it took place during the Roaring 20's. Inventory was labeled and there were plus objects to assemble. There was a marked teleport map, according to how you set your game. Transition between scenes was instantaneous. Morphing objects only in the HO scenes, which had a lot of variation. Lots of different puzzles and games. The plot was a murder mystery, and instead of a journal you have an evidence board. Objectives were regularly updated. You collect masks and tariocchi cards. I felt the game did not flow well, because I prefer a journal to an evidence board. I really hate having to exit a game to access a map! The game was a decent length with many gorgeous locations, but it was glitchy at times with inventory placement, and it just wasn't that unusual or exciting to me! That doesn't mean it wasn't a decent game; I just felt bored playing. And no, I am not adding a star just because there were no rats! Lynxie sends ❤️💋😘 to the Dream Team Elite! Brassfield Manor hooked me from the first with classy Art Deco costumes and furnishings. You are a detective trying to solve the murder of Mr. Greer. As luck would have it, his guests were locked in the house playing a Murder Mystery Weekend. They are captive -- but who is the killer? You have his children, his business partner, all the usual suspects! You have your Handy Dandy Detective Kit, and you get to question everyone to your heart's content. Everyone has a motive, so who will you arrest? There are also Morphing Items to collect, and "Tarocchi Cards" with pictures of masks on them in each scene. I love searching around old mansions, and the Hidden Object scenes are complex. Sometimes you must find one set of items to reveal the next list of search items. You may also choose to play Bubble Pop instead. Puzzles have been interesting, and I am having fun! More games like this one, please! No fairy tale here! If you enjoyed the first in the series you will be thrilled with this mystery! Collecting cards in every scene, morphing objects in HO only. 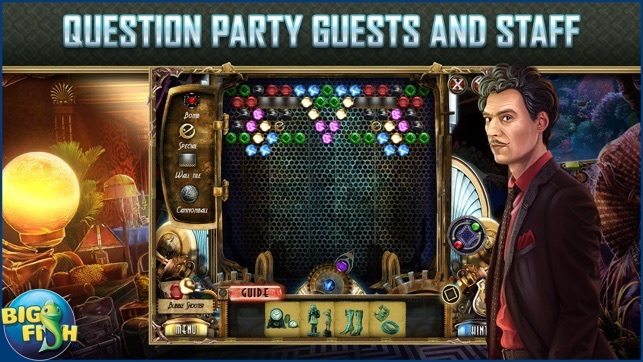 A wealthy businessman throws a murder mystery party only it's the host who dies! Set in the roaring 20s with Art Deco styling the artwork is superb! Gameplay is smooth, has transporting indicated map. You will be using your brain on this one for sure! 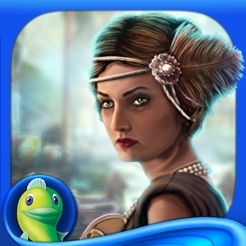 Ho are well drawn, mini games are varied and you have to process clues, interrogate suspects and put it all together. No custom difficulty or designated left hand mode however the layout makes it easy and accessible for either hand. No rats or snakes so far. Verdict: buy!